Ok so my mother in law, Deb, is a native of DeWitt, Arkansas. I am pretty sure before Big Daddy and I started dating, I’d never been to Arkansas, much less DeWitt. So it’s pretty funny for me to say the words “Dewitt is my favorite place on Earth.” Well, it likely rivals Perdido Key, Florida as my favorite place, but it is right up there at the top of my list. 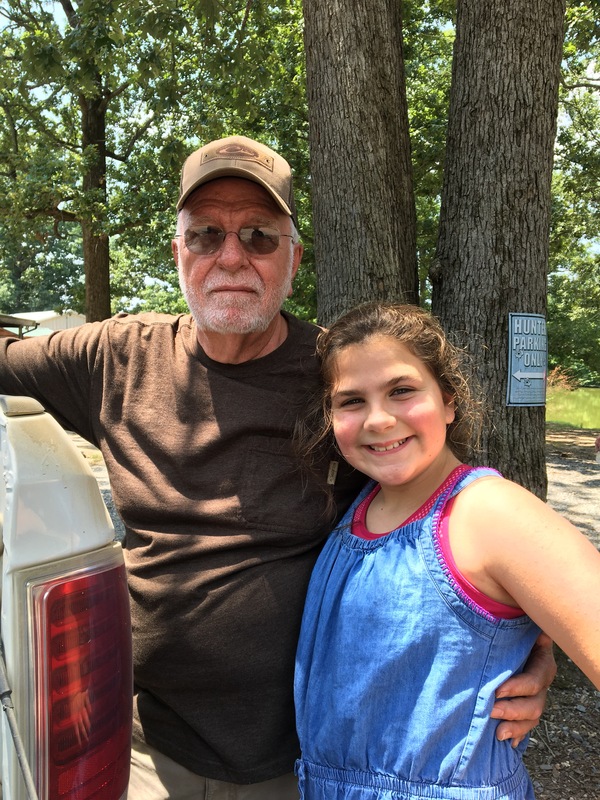 She and my father in law, Scott, run a hunting lodge, Bayou LaGrue. I’ve likely told y’all this before, but maybe you missed that so I’m saying it again. So technically Bayou LaGrue is one of my 2 favorite places on Earth. We love coming here. Last night when we arrived, Deb aka Granny had prepared a ham, fried potatoes, corn and peas with some rolls. 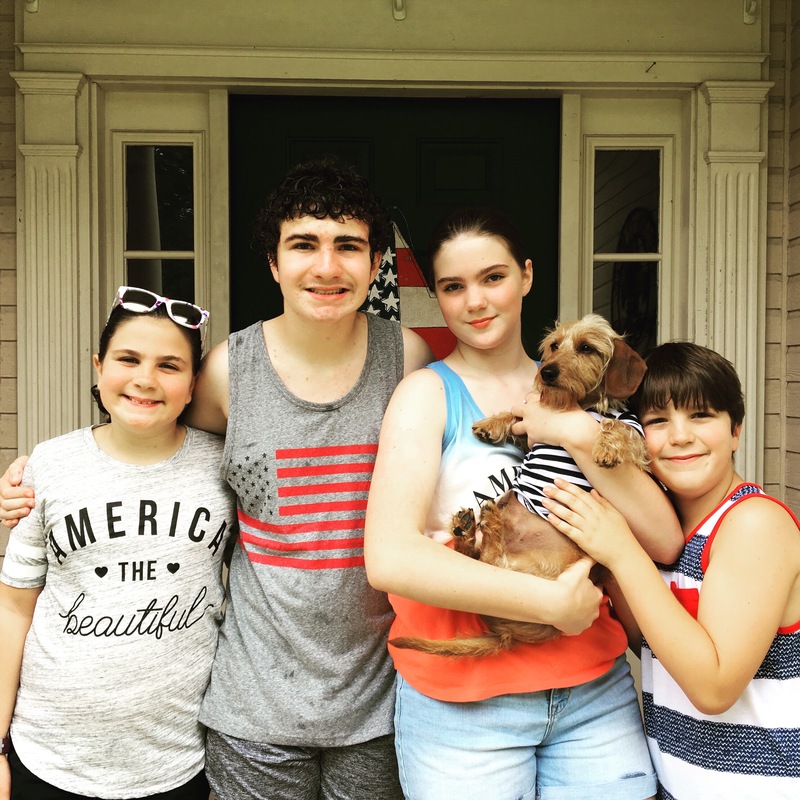 My kids oohed and Aahed like they had not eaten in years. I could not blame them…everything tastes better at the camp! We all agreed on this. Forget Disney, for Cajun mama and family, Bayou LaGrue is the happiest place on Earth! Now that I’ve been around for over two decades, Deb aka Granny sometimes gives me carte blanche in the lodge kitchen. Only sometimes though. Cajun Mama or not, that’s her lodge kitchen and she is the queen of it. I’ve been wanting to make Mr. Scott some of my mom’s dirty rice, so before coming up I grabbed the stuff I knew they would not carry in the Piggly or Kroger in DeWitt (it’s pretty small) and then I saw this recipe on Facebook and decided to make this “cherry fluff” while I was at it, here is original recipe link. Mr. Scott LOVES ambrosia and this dessert seemed like a pretty good fit. And I told Deb I would be commandeering the kitchen. She allowed it. This time. Haha! Anyhow, I made up batch of this cherry fluff aka unicorn fluff and I cannot wait to get his take on it. My Madame toot (10 year old girly girl with a love of all things unicorn) said given its pink color, it’s fluffy texture, and that it has marshmallows in it, should be dubbed “Unicorn Fluff” so unicorn fluff it is!! This recipe is super simple to throw together and it is different than your regular cakes or pies, so it’s a fun, unexpected treat. 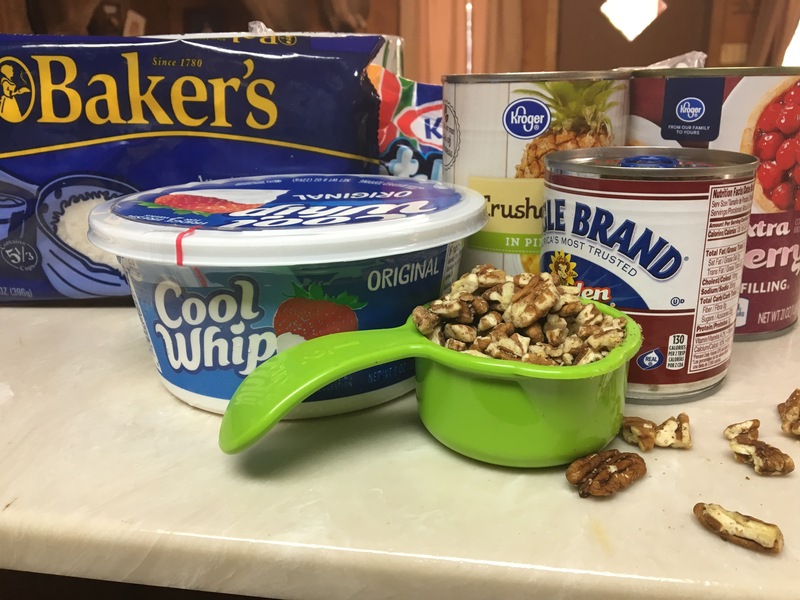 Also, given that it is 9000 degrees outside anywhere in the South, this dessert is NO BAKE, possibly making it the perfect summer dessert! Can I get a whoop whoop?!! 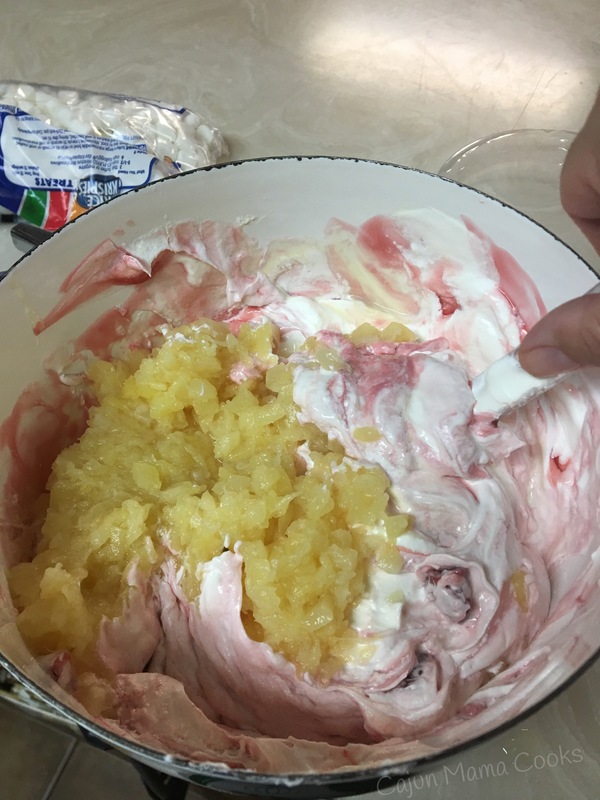 Combine the Cool Whip, cherry pie filling, crushed pineapple in a large mixing bowl. 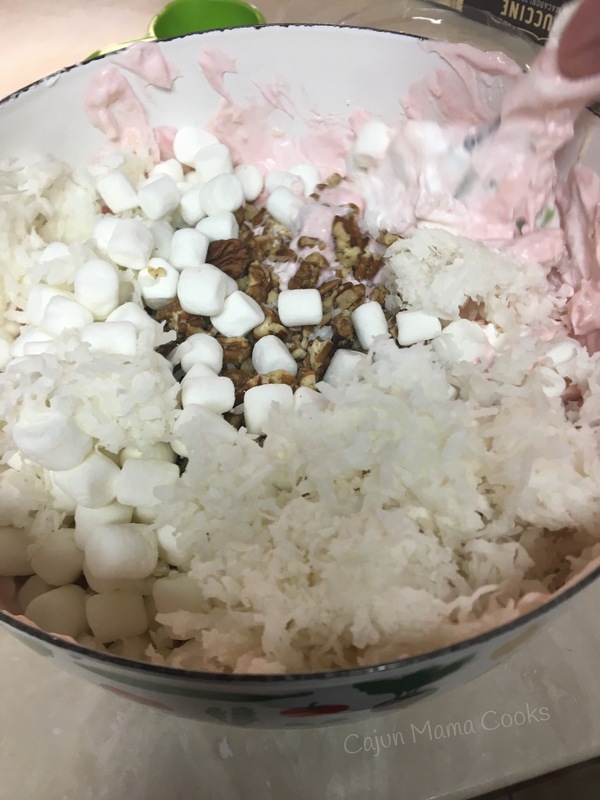 Stir in marshmallows, pecans, and shredded coconut. Now, cover and pop in fridge. Let chill until ready to enjoy! It will thicken up as it chills. Be sure to take in the lovely pink hue of this sweet concoction sure to add a bright dose of color to your next meal!! Madame Toot would insist on this! I hope you enjoy this luscious pink dessert in your happy place! This is a luscious dessert! 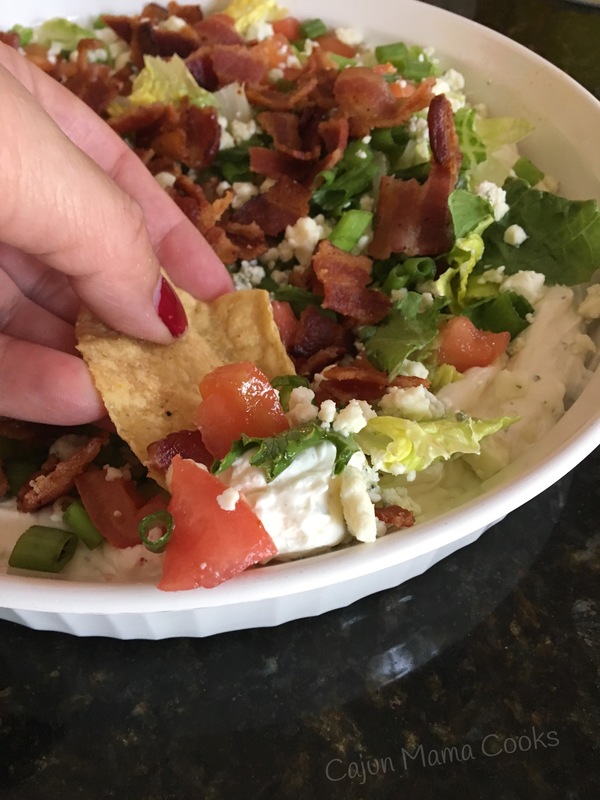 God bless America and this wedge salad dip! Happy Independence Day to all my Cajun mama peeps!! 🇱🇷💥 is Hope this posts finds all of you enjoying this day with family, friends and friends who are like family. We are waiting on some of those friends who are like family to get here to begin our 4th of July celebration but we might have started a little early! So I know several of y’all are wanting this recipe and I figured I’d try to bang out a post real quick while we waited on them! 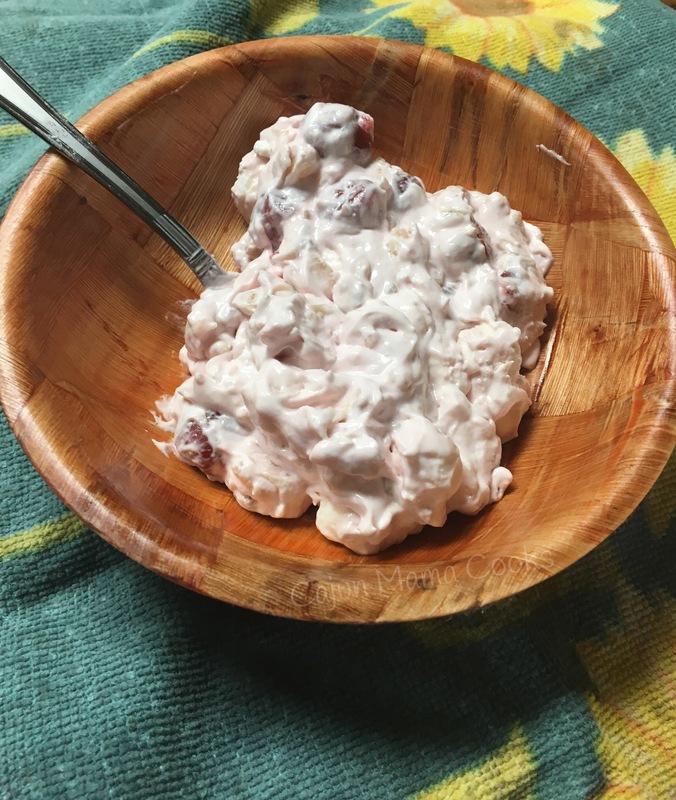 This wedge salad dip caught my eye a few weeks ago and I’ve been waiting for a chance to make it. It’s super duper easy to put together and that is the best thing of all. Besides the taste. Because the taste is just fantastic. Like fireworks in your mouth! How fitting!! So here we go! Thanks to Lemon Tree Dwelling for this recipe! Link to original recipe here. 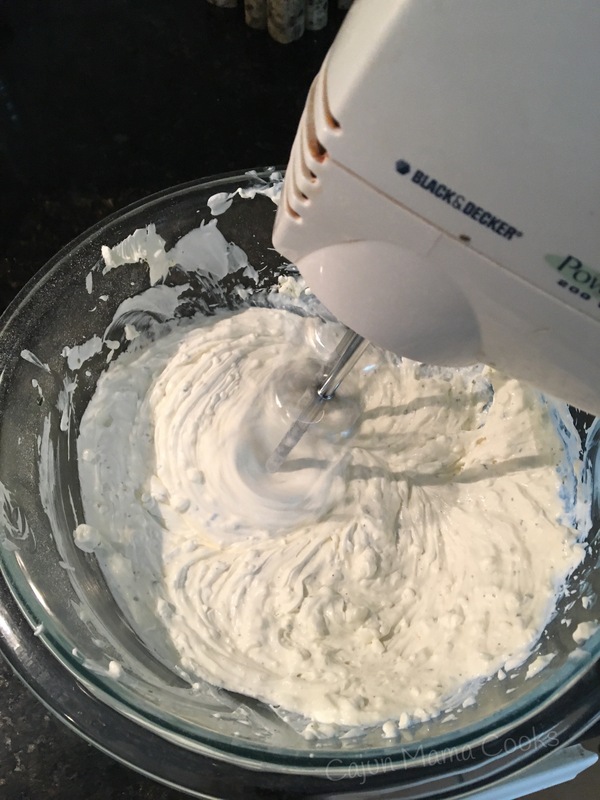 Mix together the ranch seasoning with cream cheese and sour cream. Now you spread that in a pie plate. I used a shallow quiche dish. Sprinkle your chopped romaine, diced tomatoes, green onions all over the dip mixture. Now sprinkle crumbled crispy bacon all over this. Now take your crumbled blue cheese and sprinkle it on top. That is it!!! God bless America and this completely delicious dip!